Mallorca is a beautiful island. Long sandy beaches and isolated rocky coves are framed by sapphire seas and backed by dramatic mountain peaks, while olive groves and vineyards are found in the interior. The largest of Spain's Balearic Islands, Mallorca also offers a wealth of attractions, ranging from watersports to wine-tasting. 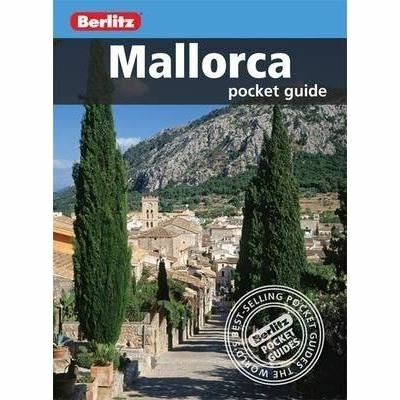 Berlitz Pocket Guide Mallorca is a concise, full-colour travel guide that gives you reliable, user-friendly information on the island, alongside vivid photography. We guide you through Mallorca, from lively Palma, with its art galleries and wonderful markets, to chic Deià and the glorious sands at Badia d'Alcúdia. Handy maps on the cover help you find your way around. To inspire you, the book offers a rundown of Mallorca's Top 10 Attractions, followed by an itinerary for a Perfect Tour. The What to Do chapter offers a selection of ways to spend your spare time, from nightlife and shopping to sports. The book provides all the essential background information, including an overview of the island's history and cuisine. There are carefully chosen listings of the best hotels and restaurants in Mallorca and an A-Z of all the practical information you'll need.